Headquartered in Lafayette Hill, Pennsylvania, National Label Company (“NLC” or the Company) is an industry leading printing and converting company that has operated successfully since 1914. The Company specializes in prime decoration (labels, sleeves, sachets and coupons) for branded consumer products primarily in the personal care, battery and pharmaceutical end-markets. NLC has manufacturing facilities in Pennsylvania, Puerto Rico and Singapore and has established a global footprint to better serve multinational customers. NLC’s facilities are equipped with the latest production tools and its products are on the forefront of technological innovation. After several years of profitable operations, the Company began to experience constrained liquidity stemming from its significant capital investment, domestically and abroad. SSG was retained as NLC’s exclusive investment banker in late December 2016 to conduct a comprehensive marketing process and contact a broad universe of buyers to achieve an optimal outcome for the Company and its stakeholders. 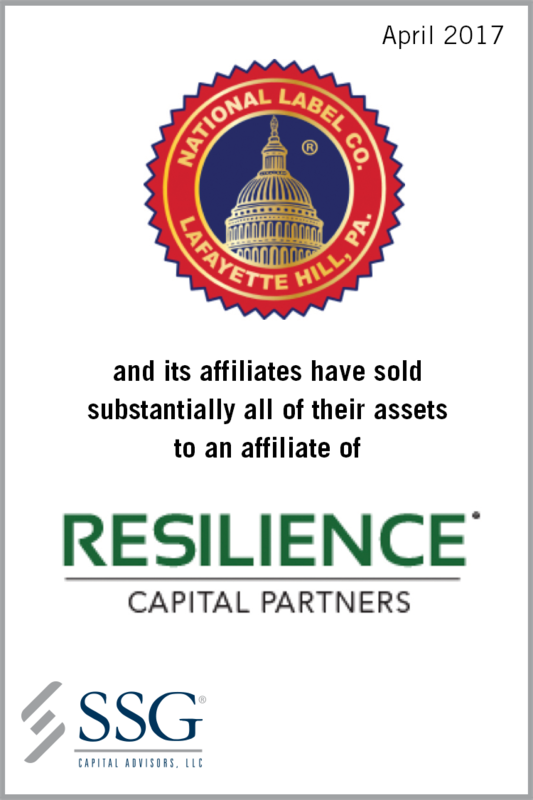 The process attracted strong interest from both strategic and financial parties with Resilience Capital Partners ultimately partnering with LBC Credit Partners to purchase the Company’s assets and provide additional capital. This transaction enabled the Company to rationalize its balance sheet, preserve its key customer relationships and facilitate its go-forward growth strategy.